Michel Delon, a great man, is the consummate proprietor, meticulously administering this vast estate spread out along the St.-Julien/Pauillac border, separated from Latour's finest vineyard by a mere ten feet. The 1993-95 vintages from Delon are brilliant wines. Leoville-Las-Cases remains one of the irrefutable reference points for high class Bordeaux. One of the more massive Medocs of the vintage, this opaque purple-colored wine exhibits fabulous richness and volume in the mouth. Layers of pure black-cherry and cassis fruit are intermixed with stony, mineral-like scents, as well as high quality toasty oak. Medium to full-bodied, with a sweet, rich entry, this wine possesses plenty of tannin, yet fabulous extract and length. 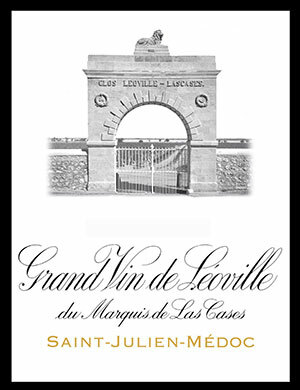 Leoville-Las-Cases is one of the half-dozen great wines of the Medoc in 1994. Anticipated maturity: 2002-2025. This lion never falls asleep on the job! Paired against the 1993 by Jean-Hubert Delon at the chateau, this remains the Las-Cases that I completely mis-read when first encountered. There is a little more ripeness on the nose with black cherries, a touch of dates and a slight scents of brine/seaweed that I find most attractive. The palate is very smooth and velvety, a Las-Cases flirting with opulence rather than actually attaining it. Very pure, slightly more alcoholic that I recall and on the finish, I prefer the tension on the 1993. Yet overall, I think this is a slightly better wine than that: more cohesive and greater length. Drink 2010-2035+. Tasted October 2007.